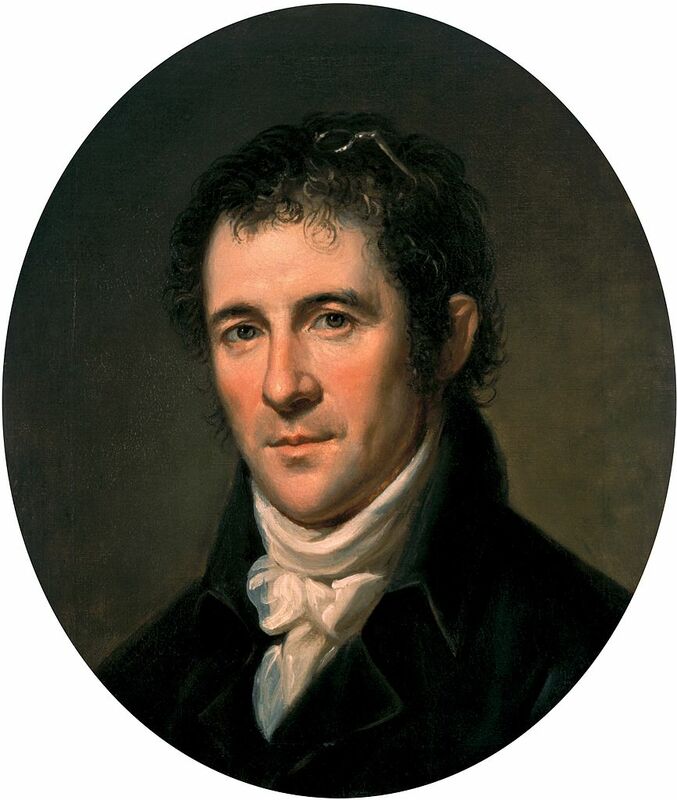 Born in Britain, Latrobe studied architecture in Europe before immigrating to the United States in 1795. He established himself as the nation’s first professional architect and, in effect, founded the profession of architecture in the United States. He introduced the Greek Revival style to the nation with designs for many public and government buildings. President Thomas Jefferson appointed him surveyor of public buildings in 1803 and Latrobe completed the original U.S. Capitol, among other buildings. His best-known work, however, was for the Basilica of the Assumption of the Blessed Virgin Mary, a part of Baltimore’s Roman Catholic cathedral.